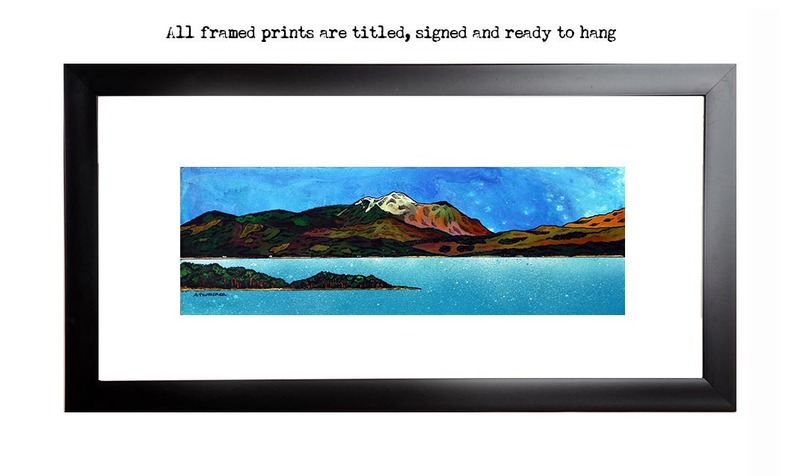 An original painting and prints of Ben Nevis Across Loch Linnhe, Scottish Highlands. An original abstract, atmospheric landscape painting of Ben Nevis across Loch Linnhe, Scottish Highlands. Scottish Highlands Paintings & Prints - Ben Nevis Across Loch Linnhe, Scottish Highlands.